Silverton High School Alumni Association scholarship fundraiser. The purpose of the Silverton (Oregon) High School Alumni Association (SHSAA) is to create a scholarship fund large enough to offer every graduating SHS senior a scholarship to further his or her education. It need not be a state college or university, but may be a trade school including beauty school, barber college, pet grooming, or whatever interests that senior. 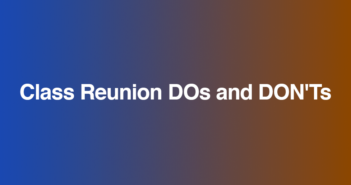 We publish a newsletter twice a year to promote scholarship donations and keep alumni informed of upcoming class reunions. The newsletter is created in PageMaker and posted on the website in pdf format, so anyone can read it online or print it out. 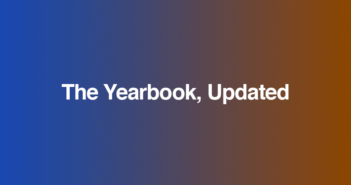 Click on the button “Alumni newsletter” at www.shsfoxes.com. We hold an annual all-class party and Silent Auction at the Oregon Garden for anyone who ever attended Silverton High and their friends. During the evening, a buffet dinner is served. Tickets are sold for a 50-50 raffle where the winner splits the “pot” with the Alumni Association. Silverton merchants, businesses, residents and alumni donate items for the auction. 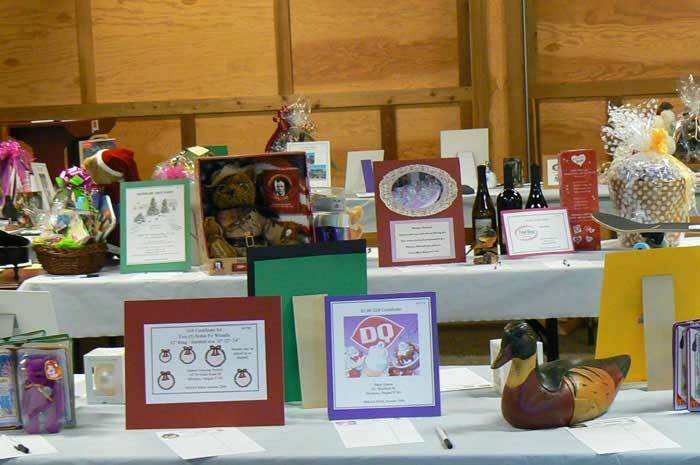 Bid sheets are prepared with pictures of the items so when the item is claimed at the end of the evening, there are no questions. Our former principal builds furniture, mostly tables of various sizes, and offers them for the auction. In 2006 we raised $5,500 and in 2007 surpassed our goal at $7,800. 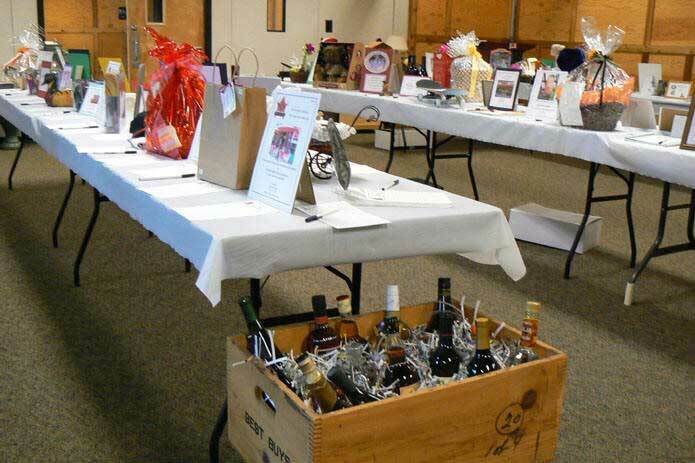 The auction consists of many items donated by local merchants, residents, alumni, and businesses. Some businesses (like the funeral home and real estate brokers) make cash donations in lieu of an auction item. Three of us go door to door in Silverton, asking for donations. We split the list so we don’t duplicate. Nearly everyone we ask has something to donate. We hesitated on three new businesses that had just started this summer, but introduced ourselves and explained about the silent auction. We let them know we understood if they wanted to skip this year, but all three wanted to support us! Two donated auction items, and the third made a cash donation. Auction tables at the Silverton High School Alumni Association scholarship fundraiser. 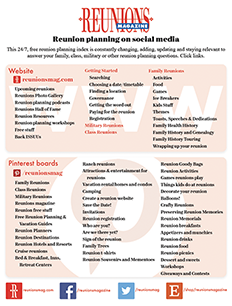 It all started in 1993 when the Silverton High School Class of ’63 could not find a reasonable use for approximately $900 left over from their 30th reunion. After discussion of possible alternatives, they decided a scholarship would be appropriate. Then they decided that, instead of one blast to one student, it could be “seed” money to establish a continuing scholarship program. Mason Branstetter, a member of the reunion committee, met with Directors of the Silver Fox Foundation to ask if they’d provide temporary legal shelter while the Alumni Association was organized. They agreed; however, during the next several years, little was accomplished toward the creation of the SHSAA until Mason was joined by others in 1996. The financial report was $2,033.75. New business was to award the first scholarship of $100. A goal of reaching $100,000 in an investment account was established and it was established that scholarships would only come from the interest earned on invested principal. Now, 10 years later, over 1,000 alumni are either paid full members or have at some time paid their $5 annual dues. The association grows exponentially. We have a databank of over 14,000 alumni from SHS starting with the first 3-year graduation class of 1908. Our first major contributor was Verl Cochran, an ever-present Fox fan at every home and away game for many years. As owner of the school bus lines and other positions of responsibility, he was always there to lend a helping hand. His was the first significant donation, which pushed the investment account to five figures. We have accumulated an amazing investment principal of $265,000. On one occasion, we received a “window” envelope that appeared to be a solicitation to another fundraising effort. Imagine our surprise at a check for $50,000 from a 1949 Silverton High alumni. Because ours is a federally recognized 501(c )(3) not-for-profit corporation, donors get tax credit. For every $100 donors send, they get approximately $40 tax credit. The $40 figure is computed from 31% federal and 9% State of Oregon income tax bracket donor. This is first and foremost an organization of people. Money is important and scholarships are the main reason for the organization’s existence, but following very closely is the principle of alumni relationships. 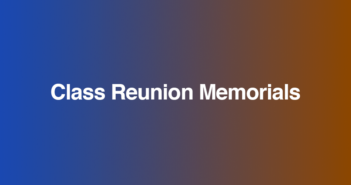 Without the unselfish support of all who help with class reunions and many extremely loyal and dedicated stalwarts of the SHSAA, we would simply wither up and blow away. Reported by Judy Nunn, Salem, Oregon.